Life in Italy can be very slow, but this isn't always a negative aspect! And sometimes our slow pace is surprisingly faster than in the rest of Europe. 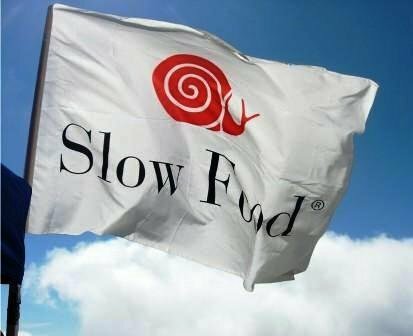 Like now with Slow Food – www.slowfood.com , the organization born almost twenty years ago in Italy to arise awareness on the need to Good, Clean and Fair Food – embracing Slow Medicine. and Right will be the new criteria for a fair and, hopefully, more human late years of living. Shaped by common sense and kindness, grounded in traditional medicine yet receptive to alternative therapies, Slow Medicine is a measured treatment of “less is more” that improves the quality of patients' extended late life without bankrupting their families financially or emotionally.. This is the definition of this new approach to ageing you'll find on Dr McCullough's website – www.mymotheryourmother.com – based in research at the Dartmouth Medical School, Hanover – New Hampshire, US. Thanks to advances in medicine, life can be significantly prolonged. But at what cost? A natural healthy life is a pursuit that is embraced by more and more people around the world every day. Unfortunately, ageing following this path is not an option open to everyone. It is a lucky straw reserved only for few of us. The majority has to face the chance to be forced to enter the medical world. It could be because of a heart attack, a stroke, cancer or a long-term chronic illness. In the struggle to decide what is best to do, many of us become unwillingly caught up in the new “death by intensive care” epidemic in which the “care” is often more destructive than the disease. We are overwhelmed by the staggering choice we face and doing the best thing is beyond our judgement. So we rely on the doctors and on their adamant belief of “life at all cost”. But is it always right? Is it correct to let an over 80-year-old person with chronic disease, such as Alzheimer’s or Parkinson’s, undergo painful medical tests in order to prevent other illnesses that are part of the ageing process? The fastest growing of the group of people over age 80 is particularly important because this group at present has more interaction with the medical system and uses more resources than any other group age. And this group is about to double its numbers, with an exponential demand for health services. Diseases that in the past brought an end to life relatively quickly have been transformed into chronic illnesses and extended years of decline. The increasing numbers of elderly people is bringing unprecedented family and social burdens. The extended average life is something mankind hasn’t experienced before and this longer late stage of human life needs a new and different approach from all parts of our society. We are called to re-define many aspects of our life in the vision of this prolonged time of living. We have to think about how to survive in a stage of life never tested in the previous millennia of human presence on earth. Not only financially, but also psychologically. The aim of this new founded movement is to sensitize the public opinion, the families and the health-workers, about the problems hidden in this “new territory”. If in our first years of life the modern medical motto “life at all cost” is paramount, in the second part of life is it still so important? We are all called to reflect on this, in order to lay down a common way of living the late part of our life, and Italy is leading the way.